So these little wings have a little bit of both those stories. They were concocted one afternoon, when we were foraging in the freezer for that night’s supper. There was only one proviso, that they would be Gluten-Free for my co-conspirator sister. 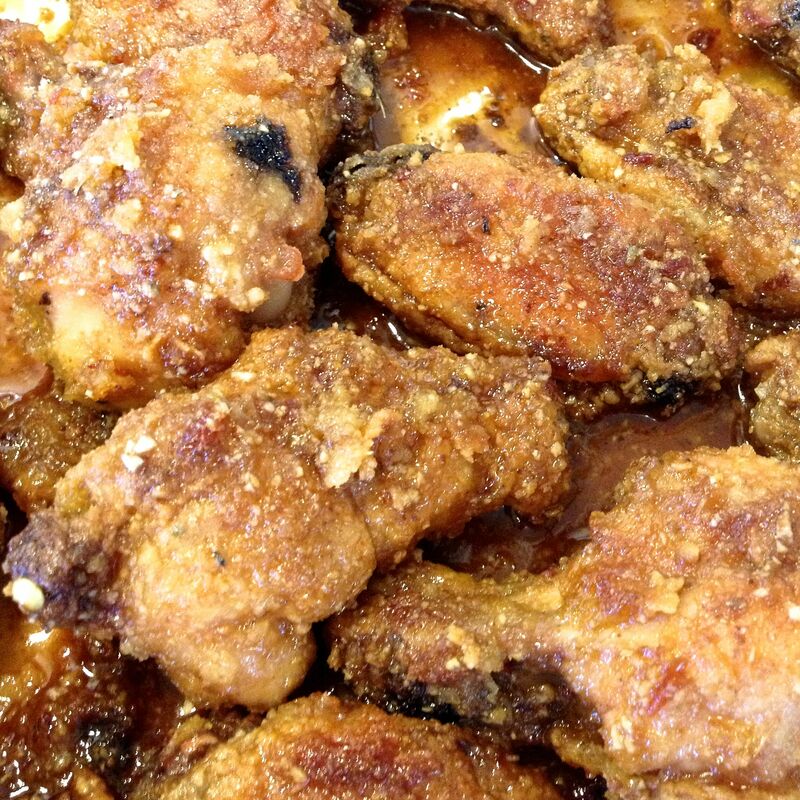 3# chicken wings, separated into drumettes and flats. Remove and store tips for another use, or discard. 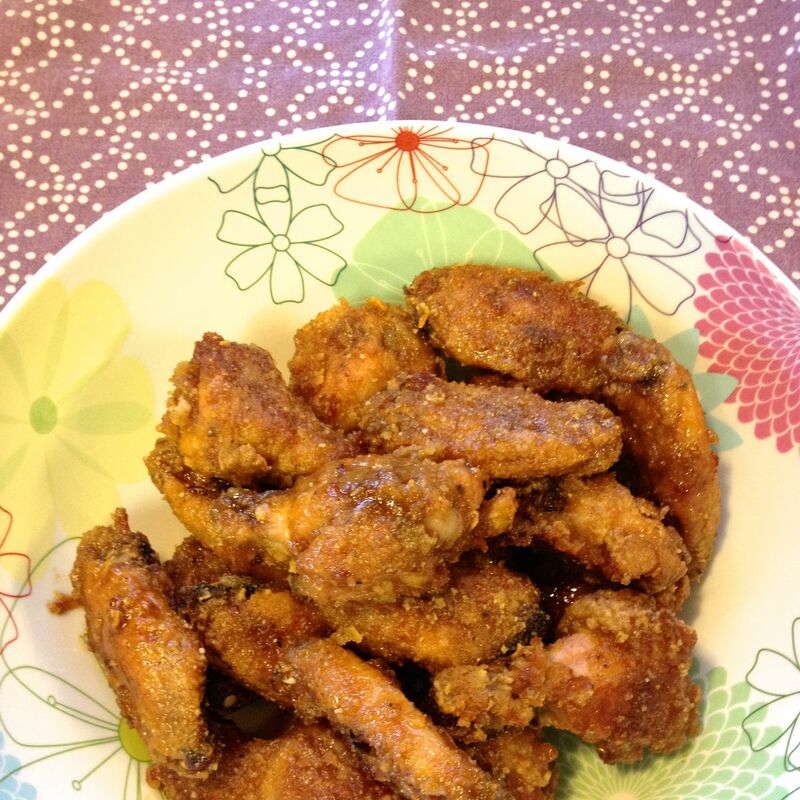 Put the wing pieces into a bowl large enough to toss in. 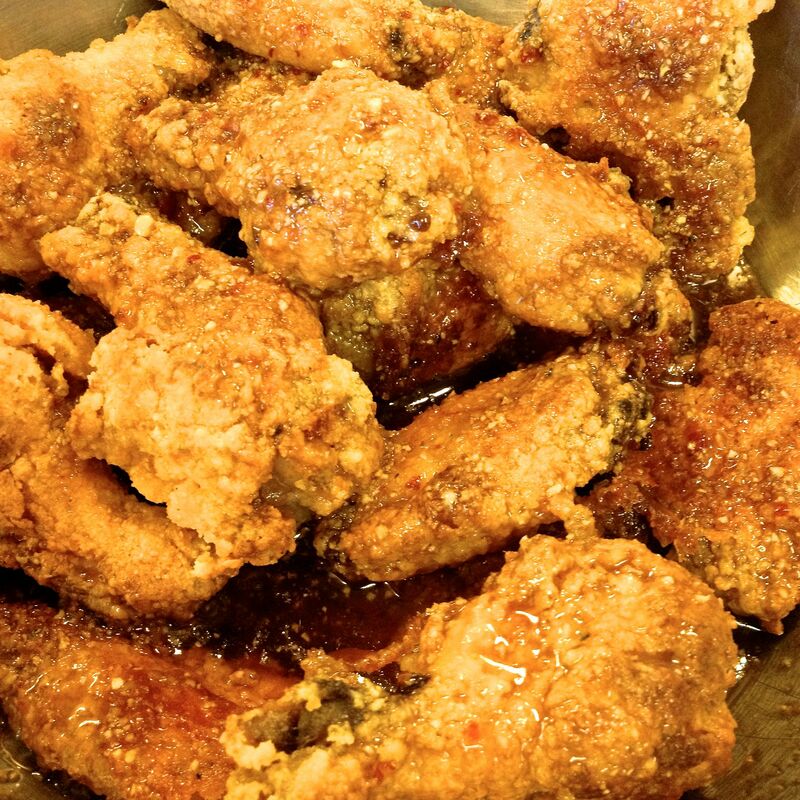 Drizzle with oil, sprinkle with salt & pepper to season. Add cornstarch and coconut flour to a large paper bag (or a large plastic storage tub with a secure lid, or a large plastic bag). Roll the top of the bag and hold it firm. Shake the bag to blend the flours. 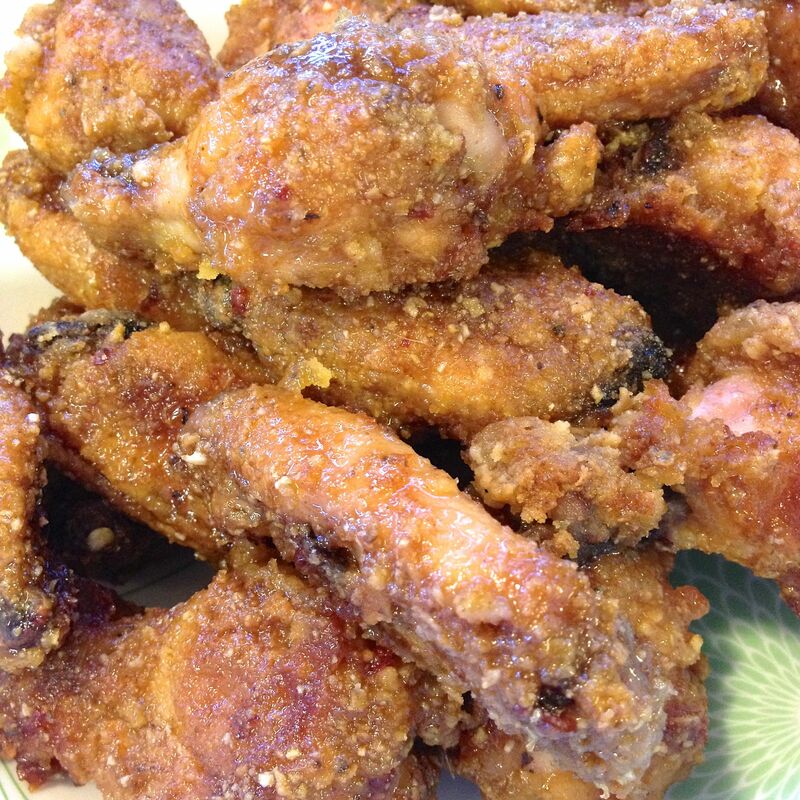 Add in the chicken wings. 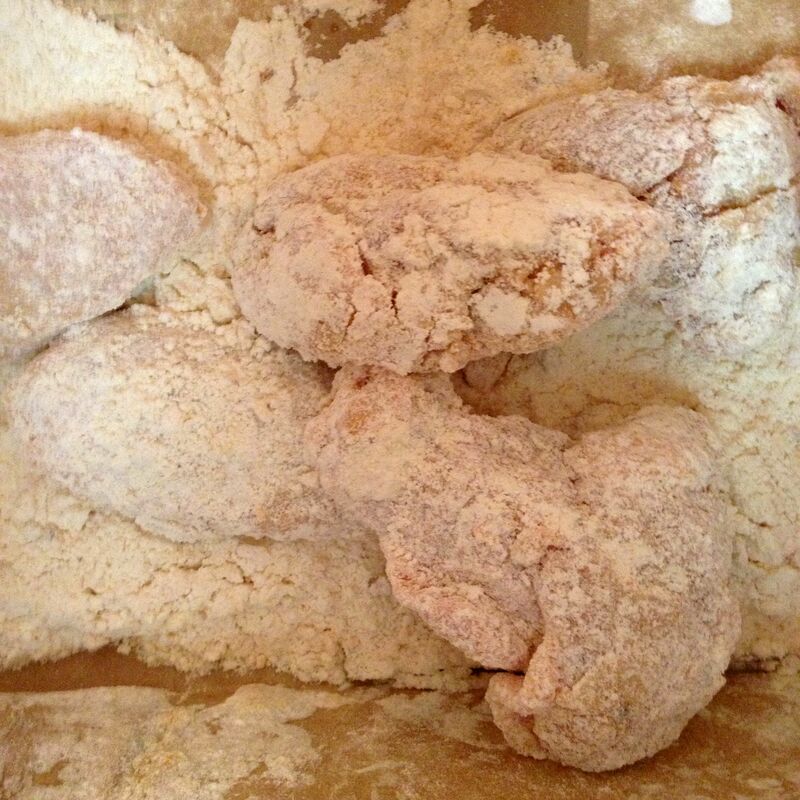 Hold the bottom and top of the bag securely and toss until all the chicken pieces are covered with flour. Drizzle about 2 T of canola oil over a parchment lined baking sheet. 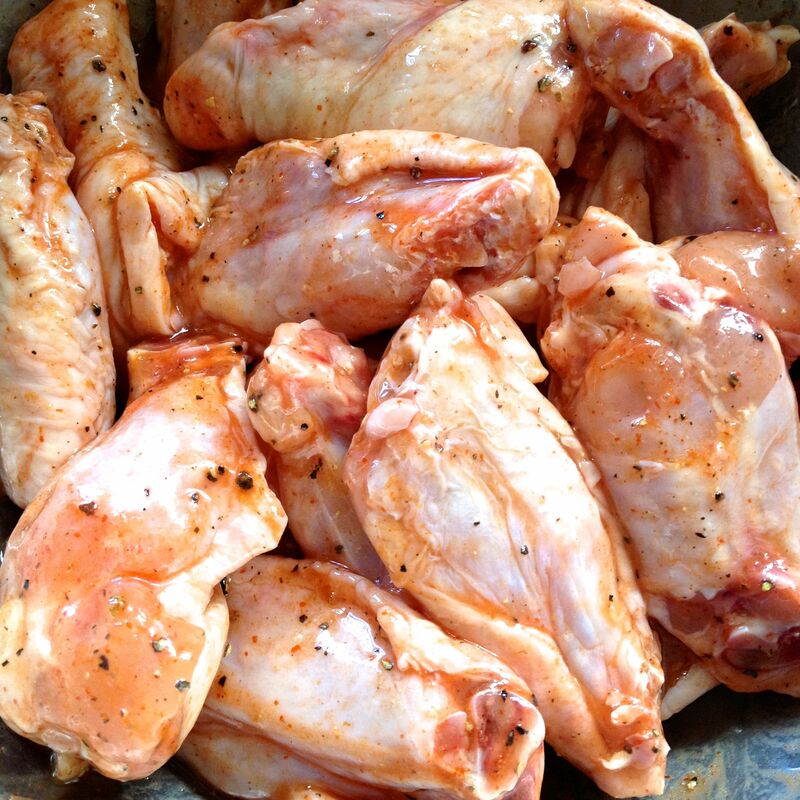 Arrange the chicken pieces on the parchment, and move them around a bit to spread the oil. Turn over all the pieces, so the oiled side is up, and try to have the pieces not touching. Bake for 20 minutes, and then remove from the oven and turn all the pieces over. 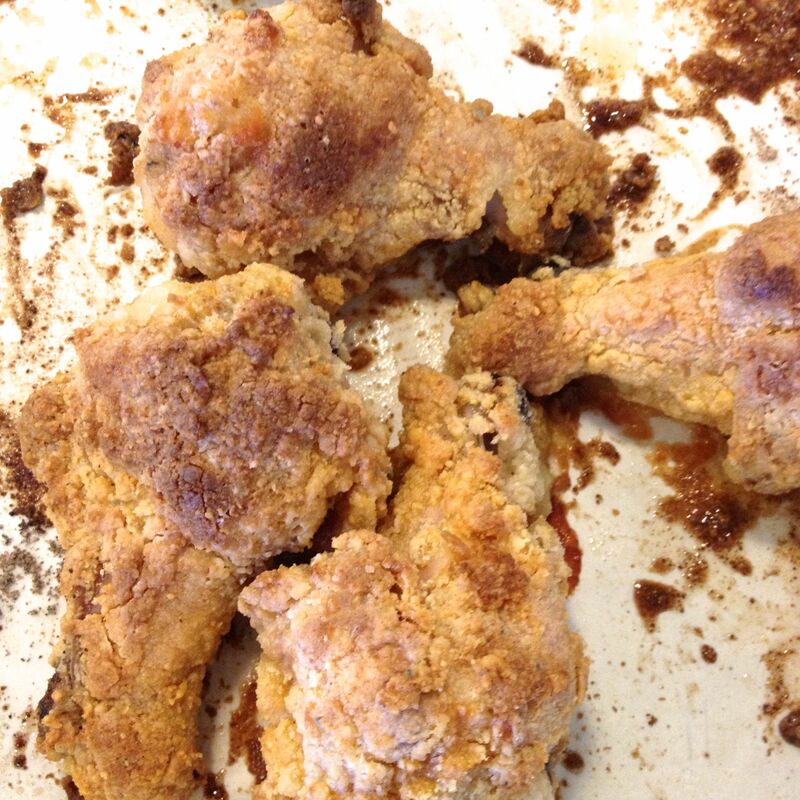 Drizzle with a little more oil (1–2 T), being sure that a bit goes on every piece. Return them to the oven for another 20-25 minutes until they’re nicely browned. While they’re cooking, make the finishing sauce. Using a mini-processor or stick blender, process the garlic, ginger, lemongrass, Sambal Oelek, tamari, sushi vinegar and coconut sugar until well incorporated and there are no large chunks of garlic, ginger or lemongrass. 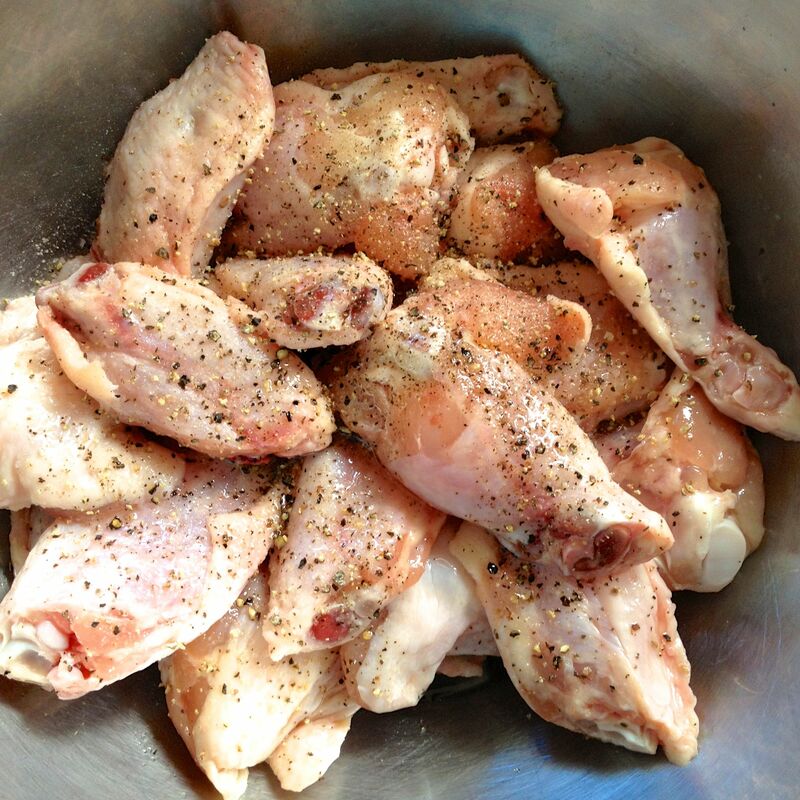 Remove the chicken from the oven, and using tongs, put all the pieces in a large bowl. Pour over the sauce and toss the chicken being careful not to damage the skin. Arrange the chicken pieces back on to the parchment lined baking sheet. 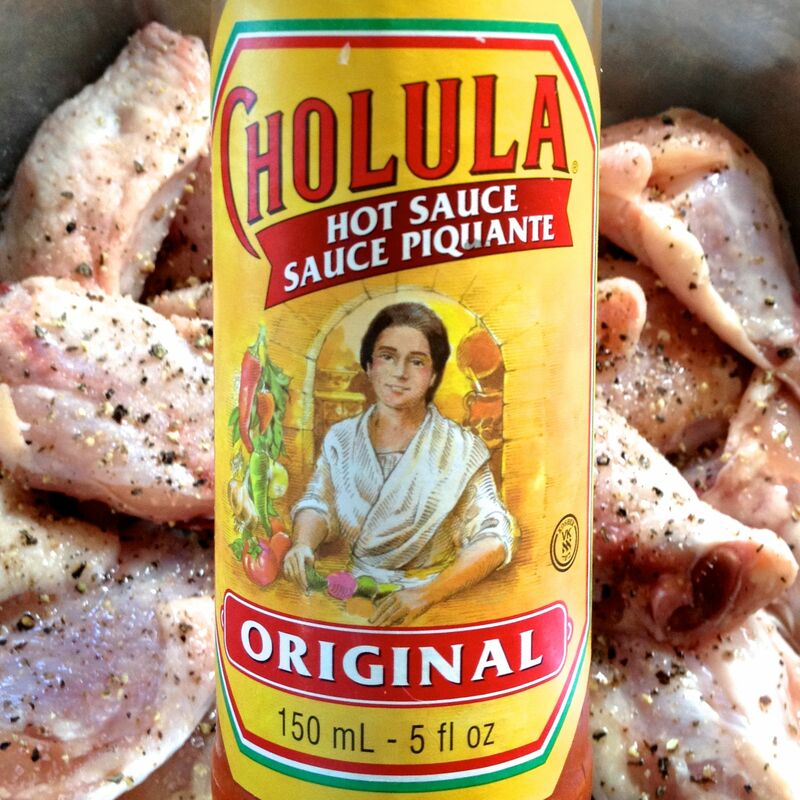 Using a spatula, scrape out any remaining sauce from the bowl and drizzle over the chicken. Let rest for 10-15 minutes. This gives the sauce time to work its way into the chicken’s crust.